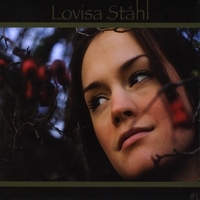 Lovisa Stahl hails from Sweden and recorded this, her debut album, in MBLA studios in Los Angeles, aided and abetted by Mark Boals of Yngwie Malmsteen, Uli John Roth, Ring of Fire, Ted Nugent and plenty more! Not only does she have a beautiful, character laden voice but she is also, on the strength of this album, an excellent songwriter. She is probably influenced by Joni Mitchell amongst others, also having a similar sound to singer songwriters such as Shawn Colvin and Jane Siberry, but an advantage she has is slightly more edginess and some excellent melodies. Her sound is very sparse but unlike some albums in a similar mould, there is always something of interest going on with the melody and instrumentation. Her music is strongly folksy but with a little of the high lonesome country feel and perhaps even a slight nod to an edgy bluesiness. The production is incredibly clean and open, giving full rein to her lovely vocals and the strong and varied lyrics that are mainly centred around the pros and cons of human relationships. She is, as several of these songs suggest, quite happy to delve into the more intimate side of relationships but always with a taste and feel that very few seem able to match. I must admit that over the years I have listened to probably hundreds of albums in a similar vein and whilst in the main pleasant none, or very few, have left a lasting impression. This album is different! Whilst the instrumentation is very sparse, it is perfectly selected and played. Piano comes into play on several songs at just the right time on the album as a whole to give a little variety to the overall balance. There is just a single guitar on most songs but always incredibly tuneful and varied, accompanied on several songs by a gorgeous harmonica sound, rarely with just the usual strummed chords! Of course, in the end it’s all about the songs and everything on this album is good but Thousand Miles is a personal favourite with it’s lovely harmonies and tuneful guitar on a song that says despite appearances she is not really strong enough to cope with a broken heart, whilst River has more beautiful harmonies on a song reminiscent of Jane Siberry with some excellent guitar work playing around the melody. The ten songs on this gorgeous album are all beautifully conceived and written, but what lifts them that extra notch is Lovisa’s beautiful, emotion laden vocals and the extraordinary harmonies. Add all this to the excellent open sounded production and already mentioned instrumentation and this really should be the start of a hugely successful career. At times pleasantly serene, at others simply stunning!